Manama: Sitting inside a mosque in Bahrain, Umm Eisa says a silent prayer — she wishes to pass on her Bahraini nationality to her son. She worries about him and any thoughts looking to the future are crippled by a gnawing fear that he will live a difficult life. As a Bahraini woman, Umm Eisa was not legally able to pass on her citizenship to her children — the same is true in other Gulf countries. Umm Eisa was married to a Saudi national and lived with him in his home country where they had a child, Eisa. When her husband died, she returned to Bahrain, to be near her family. “We have been facing difficulties and challenges because my son is not Bahraini,” she told Gulf News. Holders of Bahraini citizenship are entitled to greater benefits, such as government houses, housing loans, social assistance, voting rights, and education priority rights. Having not had access to those services put her son at a disadvantage growing up. He now works as a bus driver. “He doesn’t make much and on top of that he has been supporting me since my husband died,” she said. She worries he will never have enough money to start his own family — a wish that every mother hopes for her children. For Dorriya, another Bahraini woman, life has been very difficult since her son was born five decades ago. Saba Al Asfoor, an activist with the Women’s Union in Bahrain, said the suffering starts the moment a Bahraini woman marries a foreign man. Mohammad Al Masri, a legal consultant for the Supreme Council for Women, the official body that has been staunchly working on elevating the status of women and empowering them politically, economically and socially in the country, said that the government was fully supportive of women and wanted them to enjoy their rights within the spirit and confines of the Constitution and the law. “It is now up to parliament to step in and all parties, including NGOs, need to assume their responsibilities and motivate the lower and upper chambers of parliament to support the move to amend the Citizenship Law,” he said at a recent forum on the status of women in Bahrain. Member of Parliament Osama Al Khaja defended the parliament, saying it was deploying efforts to address the situation. “I am personally aware of several cases of families facing formidable issues and in deep need of assistance,” he said. Mohammad Rabi, a lawyer, said that amendments to the Citizenship Law have been passed on to parliament, but they have not been debated. “There were some good measures taken in the health and education sectors while waiting for the parliament to discuss the amendments,” he said. In 2009, foreign wives of Bahraini nationals and children born to Bahraini mothers and foreign fathers were given access to the same health and education services as Bahraini citizens. They were also exempted from fees related to residence permits. According to Al Masri, 3,525 children born to Bahraini mothers and foreign fathers were given Bahraini nationality from 2006 to 2014, thanks to the intervention of King Hamad Bin Eisa Al Khalifa. 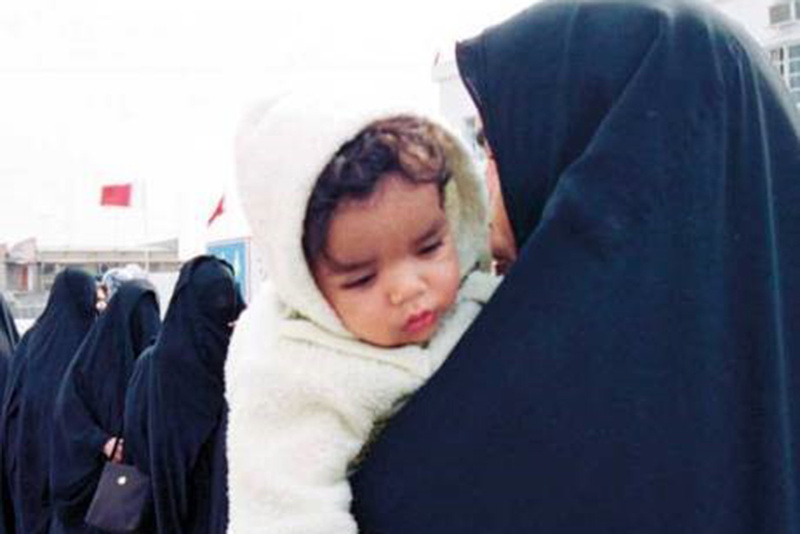 In 2006, 372 children born to 131 Bahraini mothers were granted citizenship while the figure was 650 in 2011. The following year, 2,159 children born to 903 Bahraini women were given citizenship and in 2014, 344 children born to 218 Bahraini women were given citizenship. As the Supreme Council for Women is moving ahead with plans to allow Bahraini women to pass on their citizenship, the real battle is with parliament. In April, a committee in the lower chamber of the bicameral parliament rejected a proposal to allow Bahraini women married with foreigners to pass on their citizenship to their children. The proposal submitted in mid-April wanted to amend Paragraph “a” of Article Four of the 1963 law. However, the Foreign Affairs, Defence and National Security Committee said that the issue of granting citizenship should be strictly controlled. “Equality is already achieved by giving children born to Bahraini mothers access to the same health, education and housing services provided to citizens,” the committee said. “Legislation in other Gulf Cooperation Council (GCC) countries such as Kuwait, the United Arab Emirates, Qatar and Saudi Arabia follows the same legislative approach as Bahrain. “Such an approach is not consistent with the legislative development taking place in the Kingdom of Bahrain,” Hala Al Ansari, the Secretary-General of the Supreme Council for Women, said. Gulf countries are among the 27 countries in Asia and Africa that currently do not allow their women citizens to pass citizenship on to their children or to their non-citizen husbands.